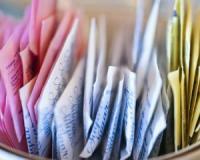 Are artificial sweeteners to blame for the staggering rise of autoimmune conditions? Statistically speaking, autoimmune disease is the leading cause of health suffering. In fact, double the amount of people suffers from autoimmune disease than heart disease. Millions of people around the world suffer from unexplained symptoms of undiagnosed autoimmune conditions. Even when they're officially diagnosed, they're given very few options in mainstream medicine. While there are multifaceted causes behind autoimmune explosion, there are some effective tools that sufferers can use to put autoimmunity into remission. That said there are also a number of things that can cause flare-ups. One of them is artificial sweeteners like saccharine, sucralose and aspartame, found in many drinks and foods like diet soft drinks. Keep reading to learn more about the link between artificial sweeteners and worsened autoimmune disease symptoms. One case study from the American Association of Clinical Endocrinologists reported that one patient’s autoimmune thyroiditis, also known as Hashimoto’s disease, completely reversed when he eliminated artificial sweeteners and diet soft drinks. Another study published in the Canadian Journal of Gastroenterology found a correlation between the rise of irritable bowel diseases like ulcerative colitis and Crohn’s disease with sucralose and its inhibitory effect on friendly bacteria in the gut. What’s more, a study out of the Journal of Toxicology and Environmental Health pointed out that sucralose weakens the gut microbiome and that artificial sweeteners in general reduce the beneficial bacteria in the microbiome by a whopping 50% while raising pH levels in the gut. Considering that 80% of the immune system is in the microbiome, this is a plausible correlation for autoimmunity! Urgent News----Latest research findings discover previously unknown pain relief remedies your doctor hasn't heard of . . .
75% of patients who took this new form of pain relief reported it "TOTALLY DISAPPEARED"
Don't suffer pain needlessly for any longer! Click here for more urgent discoveries and discover how you can be pain-free forever. So what’s the verdict when it comes to consuming drinks and eats that pack artificial sweeteners? Because everyone is different and has different levels of tolerance to foods and the environment, you should use your own experience and logic when it comes to how much of these foods and drinks you consume. You should also take biological variability into account. Think of it this way – some people have a genetic for high stress levels, while others don’t. Sometimes you don’t need research to validate your own logic! Go here for the best natural alternatives to artificial sweeteners.